The Pajun will use technology from its larger sibling, the Panamera, shown. FRANKFURT -- Porsche will sell its long-planned Pajun sedan only as an electric car to compete with vehicles such as the Tesla Model S, a German magazine reported. Porsche has dropped plans to sell gasoline and diesel variants of the Pajun, Auto Motor und Sport reported. Porsche executives think the sporty sedan segment is too crowded for a conventionally powered Pajun with cars such as the Audi A6, BMW 5 series and Mercedes-Benz E class, according to the magazine. The 181-inch-long Pajun will go on sale in 2018 or 2019 with an electric drivetrain, the report said. 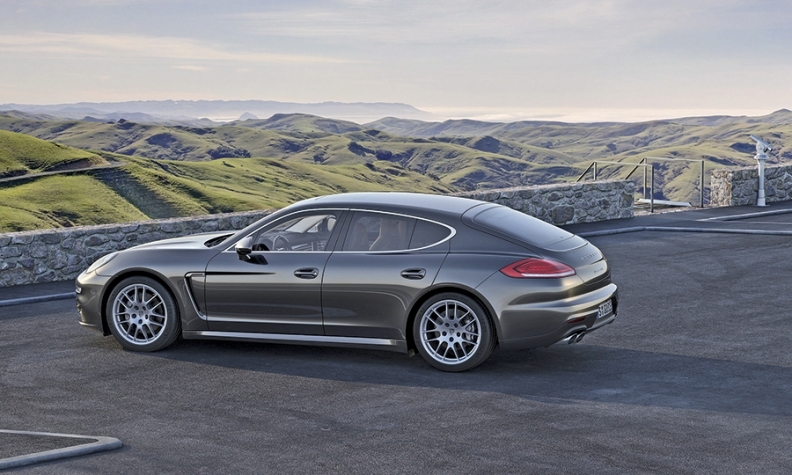 It will use technology from its larger sibling, the Panamera. The production Pajun, for Panamera Jr., likely will have a different name from Pajun.